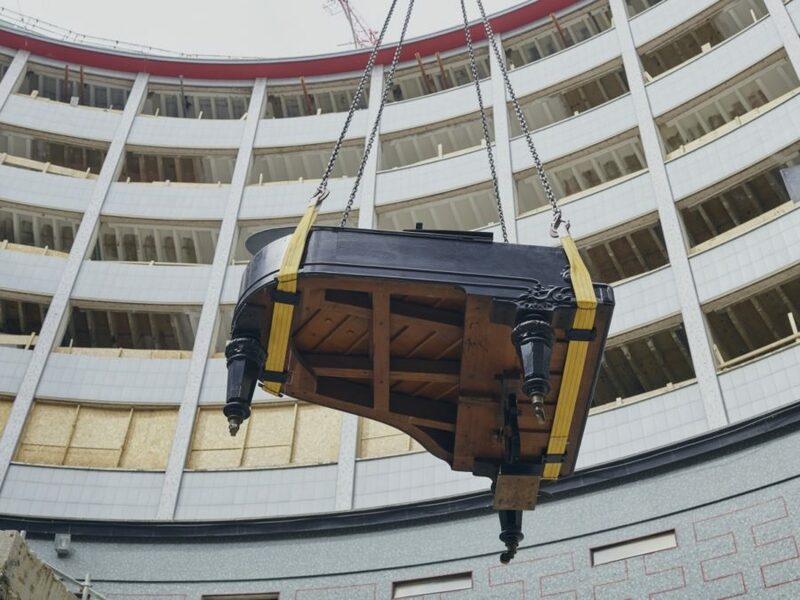 A film depicting a grand piano suspended above the rooftops of Television Centre was premiered at RIBA last week. Turner Prize-nominated artist Catherine Yass was commissioned by White Noise to create Aeolian Piano, a video piece inspired by Television Centre. The sounds of the wind running through the strings of the grand piano were used to create a haunting soundtrack to the film. White Noise have referred to it as “a swansong for the departed at the BBC.” It was followed by a panel discussion between the artist, Robert Seatter, Head of History at the BBC, her collaborator Francesca Hughes, an architectural producer, and Alice Cicolini, a curator at White Noise. 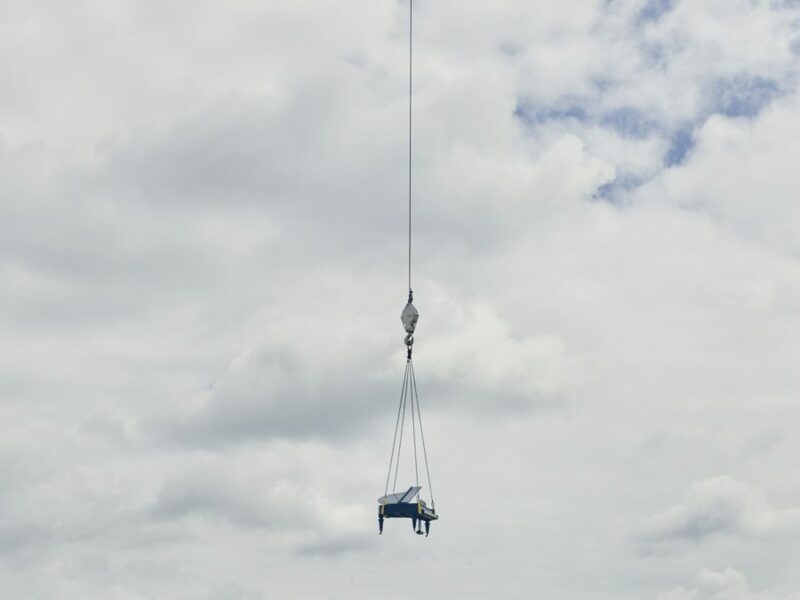 “My idea is to suspend a grand piano, for one day, from one of the cranes on the building site at Television Centre, and record it as it moves through the air and the wind sings in the strings,” says the artist. Indeed, this piece is one of artistic achievement that overcame extreme logistical difficulties. The commission comes as part of White Noise’s East Tower project, a series of artist partnerships which explore the structure of the BBC’s former headquarters as it undergoes its ambitious transformation.